Updated Sunday July 15, 2018 by Grayslake Colts Football, Cheer & Dance Association. Aside from our registration costs and fees, as a 501C3 organization, The Grayslake Colts relies on sponsors, donations, and other fundraising to supplement and offset our costs. 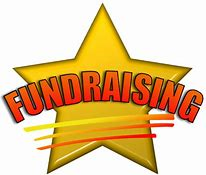 Fundraising includes but is not limited to the Dine N Share's that we host and are sponsored by a variety of local area restaurants, Charity Mania ticket sales, our annual pancake breakfast, our annual pub crawl, team parties, and sales of both concessions and spirit wear throughout our seasons. All proceeds from any fundraiser goes to help in keeping our registration costs as low as possible. Some recent items purchased through your fundraising efforts include new shoulder pads, a new score board, new cheerleading mats, and of course our NEW Defend Your Head Helmet protectors! The Grayslake Colts is the ONLY organization in Illinois so far to require the use of this safety device on ALL of our football athletes!